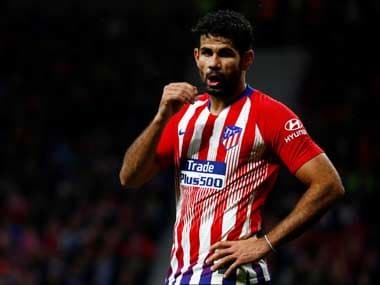 London: Atletico Madrid coach Diego Simeone confirmed Diego Costa will be fit to resume his rivalry with Arsenal in a Europa League semi-final, first leg on Thursday of huge significance for the English side. 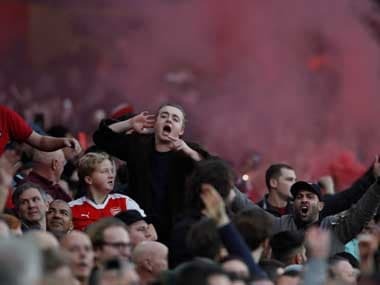 Arsenal are hoping to bid farewell to outgoing manager Arsene Wenger after 22 years in charge by winning the Frenchman's first European trophy, and securing qualification for next season's Champions League in the process. However, the formidable sight of Simeone's side stands in their way. Since the Argentine took charge in 2011, Atletico have reached five European semi-finals in seven seasons, winning the Europa League in 2012 and reaching the Champions League final in 2014 and 2016. Costa was a constant thorn in Arsenal's side during three years at Chelsea, scoring three times and losing just once in six meetings with the Gunners. 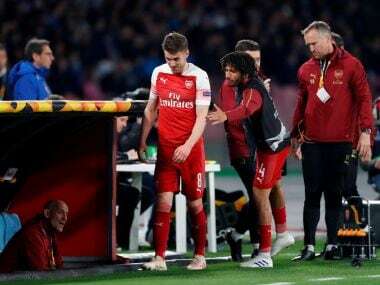 But he has been sidelined since picking up a hamstring strain in Atletico's quarter-final, second leg at Sporting Lisbon. "We will try to evaluate all the factors. We will speak among the doctors, himself and I to decide what the team needs most," said Simeone on whether Costa will start or kept in reserve from the bench. "Yesterday he trained well and we will do what we deem to be right. "In Spain and England there are many teams that have suffered because of his characteristics not just Arsenal." In contrast to Arsenal, Atletico are already assured their place in next season's Champions League as they sit second, ahead of Real Madrid, in La Liga. However, despite punching above their weight against the might of Barcelona and Real Madrid under Simeone, Atletico haven't won a trophy since 2014. Winning the Europa League in Simeone's first season in charge in 2012 set the platform to win La Liga two years later, and he hopes recreating that winning feeling will spark another era of success. "Being a champion is different and the best teams in the world get stronger because of it," he added. "It gave us the conviction and certainty that we were on the right road. Then the other titles came: Copa del Rey, La Liga, Spanish and European Super Cups, the two lost (Champions League) finals. "Now it has been a while since we won a trophy, but we keep trying." Wenger also enjoyed great success in his first decade in charge of Arsenal, winning three Premier League titles. 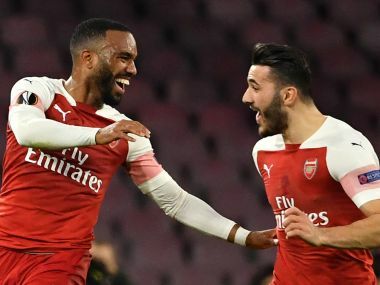 However, despite growing frustration from Arsenal fans over their inability to compete for the Premier League or Champions League in recent seasons, Simeone was glowing in his praise for Wenger's durability. "I have admiration for a great professional. To be able stay so long at such a big club he had to reinvent himself. "I still think of myself as a young coach. I try to observe, learn and admire (his work). Coaches are always open (to criticism) and the place he has held in world football is marvellous."